This tutorial should work for any Ubuntu release and other Ubuntu-based releases. 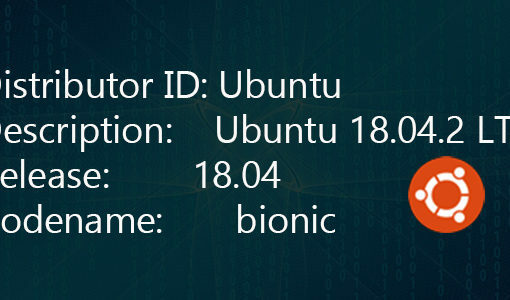 Ubuntu 14.04, Ubuntu 16.04, Ubuntu 18.04, even Ubuntu 17.10. And for the second part, go to How to Install MySQL/MariaDB on Ubuntu. PHP has different versions and releases you can use. Starting from the oldest that is currently supported – PHP 5.6, and onto PHP 7, PHP 7.1, PHP 7.2, and the latest – PHP 7.3. We’ll include instructions for PHP 7.3, PHP 7.2 (the default in Ubuntu 18.04) and the default PHP version in the Ubuntu 16.04 repositories – PHP 7. We recommend that you install PHP 7.2 as it’s stable and has lots of improvements and new features. If you still use PHP 5.6, you definitely need to upgrade ASAP because its security support ends at the end of 2018. You’ll obviously need an Ubuntu server. You can get one from Vultr. Their servers start at $2.5 per month. Or you can go with any other cloud server provider where you have root access to the server. You’ll also need root access to your server. Either use the root user or a user with sudo access. We’ll use the root user in our tutorial so there’s no need to execute each command with ‘sudo’, but if you’re not using the root user, you’ll need to do that. Check if PHP is already installed on your server. You can use the ‘which php’ command. If it gives you a result, it’s installed, if it doesn’t, PHP is not installed. You can also use the “php -v” command. If one version is installed, you can still upgrade to another. Some shared hosts have already implemented PHP 7.2 in their shared servers, like Hawk Host and SiteGround. Currently, as of January 2018, the default PHP release in the Ubuntu 16.04 repositories is PHP 7.0. 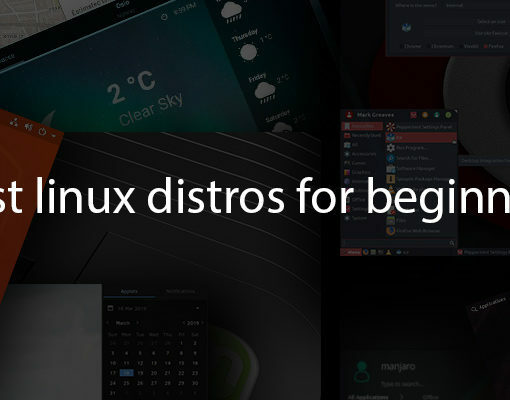 We’ll show you how to install it using Ubuntu’s repository. And that’s it. PHP is installed on your Ubuntu server. You can tweak the command to only show ^php7.0- packages etc. If you want to use the latest PHP version, follow the next instructions instead. PHP 7.2 is the latest stable version of PHP and has many new features, improvements, and bug fixes. You should definitely use it if you want a better, faster website/application. You can use a third-party repository to install the latest version of PHP. We’ll use the repository by Ondřej Surý. And that’s all. You can now start using PHP on your Ubuntu server. If you want to further tweak and configure your PHP, read our instructions below. PHP 7.2 is included by default in Ubuntu’s repositories since version 18.04. So the instructions are pretty similar to PHP 7 for 16.04. This command will install PHP 7.2, as well as some other dependencies. And that’s it. PHP 7.2 is installed on your Ubuntu 18.04 server. PHP 7.3 is still under development, but a stable release should be available at the end of 2018. You can install it now if you want to test things out. To install PHP 7.3 you’ll need to use a third-party repository. We’ll use the repository by Ondřej Surý that we previously used. If you have multiple PHP versions installed on your Ubuntu server, you can change what version is the default one. Install the newest PHP and required modules. Change the default version you’re using. (Required) Configure your software to use the new PHP version. You’ll most likely need to configure Nginx/Apache, and many other services/applications. If you’re not sure what you need to do, contact professionals and let them do it for you. You can improve the performance of your PHP by using a caching method. We’ll use APCu, but there are other alternatives available. There are also other ways you can install APCu, including using a package. If you’re following our LAMP tutorials and you’re using Apache, create a symlink for the file you’ve just created. To further configure APCu and how it works, you can add some additional lines to the cache.ini file you previously created. The best configuration depends on what kind of server you’re using, what applications you are using etc. Either google it and find a configuration that works for you, or contact professionals and let them do it for you. That’s it for our basic setup. Of course, there are much more options and configurations you can do, but we’ll leave them for another tutorial. PHP 7.x comes with an opcode cache. A very good one. Unless you specifically need functions from APCu (in which case you likely need PHP5.3 as that was the last time APCu was a good idea) you should keep using the Zend OpCache – it’s about five times faster than APCu and not likely to break anything. If you do think you need APCu functionality outside of opcode caching, look at the myriad of very fast alternatives. How to set up with Nginx with php 7.2 Are there any important parts in this setup? That’s basically it. It may differ depending on the software you plan on using. Make sure you have all the extensions installed and make sure you have the right nginx configuration (server block). There are plenty of other tutorials on google that will help you with all of this. This seem to only install prefork and not FPM on apache2. I have been trying to install PHP7.2-FPM on apache2 with no success. Any idea? thanks for the info but on kubuntu 18.04 I still a blank screen with phpinfo() why ? Nice tutorial. You were help a lot. Thanks for this tutorial. Most helpful.